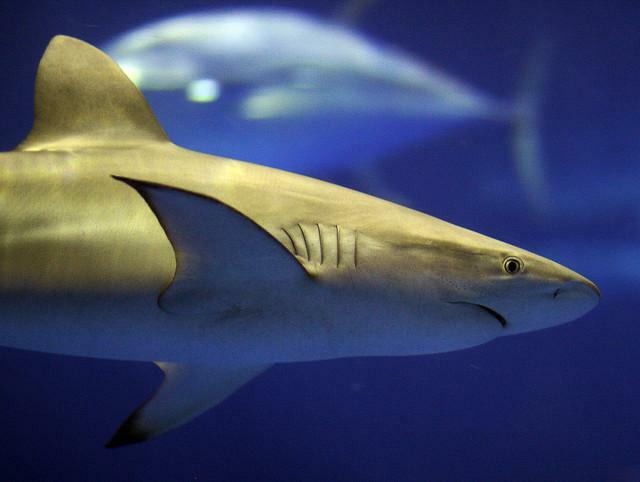 Healthy shark populations may aid the recovery of damaged coral reefs, according to a new study from the Australian Institute of Marine Science (AIMS). So how do sharks, the most fearsome predators in the ocean, save coral reefs rather than destroy them? By doing what sharks do best, killing and eating. Without predators like sharks within the delicate coral reef ecosystem, herbivores run rampant. These herbivores eat plants and algae that are instrumental to the reef ecosystem to survive. The sharks keep the numbers of these fish in check, allowing for the plant life to regenerate. Without the sharks, breeding increases and the plant and algae life recedes, thus damaging the reef. Undoubtedly, you have heard at some point about the disappearance of bees. And you may be thinking: So there is no more honey – so what? But without bees, plant life would be in serious danger. Bees gather pollen in order to make honey, which is food for their colony. When they land on the flower, the pollen sticks to their feet. When they land on another flower, some of the pollen gets dropped. This helps to fertilize the flowers. Without bees, flowers would have to depend on the wind or less driven insects to for fertilization. Without bees, plants wouldn't disappear completely, but there would certainly be less of them. Worms may seem insignificant, but they are instrumental in healthy plant growth. Essentially, worms eat soil and plant matter in order to produce broken down fertilizer. A sign of a fertile garden is a decent amount of worms within it. Worms are also an essential part of any compost heap, helping to break down and decompose the compost into nutrient rich soil. Squirrels are the biggest deforestation protestors in the world. By cutting down trees, we rob them of their homes, food sources and play grounds. But did you know that squirrels are actually help new trees to grow? They don't actually mean to do it, but when a squirrel is preparing for winter, it buries stashes of nuts so that they can dig them up later for food. However, they are often quite forgetful about it. These nuts stay buried and many begin to grow into new trees. Bats aren't exactly the most loved creatures in the world, but for farmers – especially organic farmers – they are a god send. Bats love to eat insects. They eat hundreds an hour. Because of this, they help keep crops safe from harmful bugs without farmers having to use harmful pesticides. Their poop, known as guano, is also one of the best and most potent fertilizers in the world.